This paragraph shares some ways to celebrate the 4th of July. This is forth of july. We watch fireworks. i like the big blue loud ones. There is a parade. the marching band they play musik. 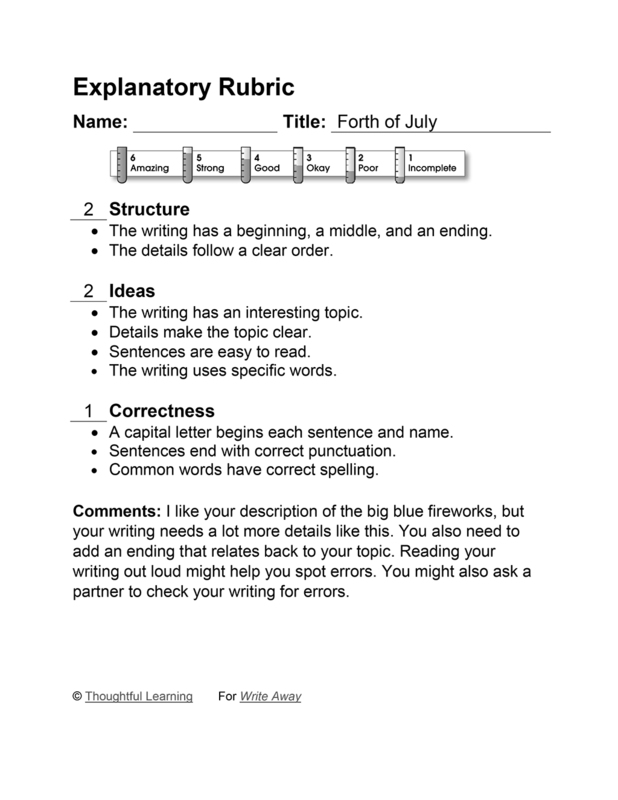 Forth of July by Thoughtful Learning is licensed under a Creative Commons Attribution-NonCommercial-ShareAlike 4.0 International License. Based on a work at k12.thoughtfullearning.com/assessmentmodels/forth-july.